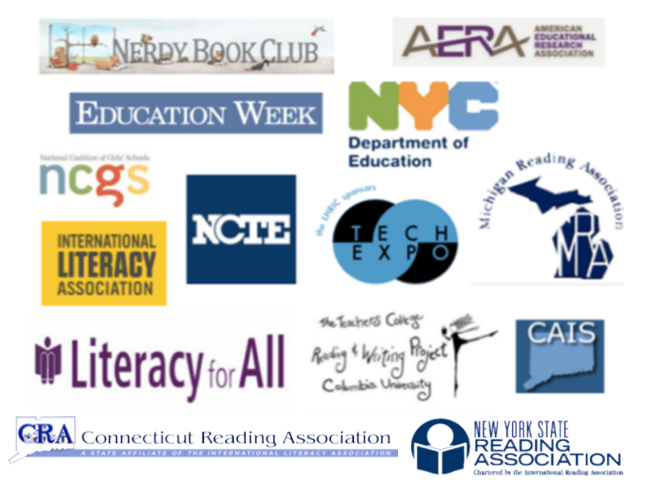 Dana and Sonja speak at literacy conferences and provide professional development for educators, tailoring each presentation and workshop to suit the needs of teachers, schools, and organizations. Their first book, Teaching Interpretation: Using Text-Based Evidence to Construct Meaning published by Heinemann, has been used by numerous educators and at the university level to help support the literacy work of teachers with their students. Dana and Sonja continue to write and publish books on literacy instruction. Additionally, they have instructed Master’s level courses on how to teach reading and writing at Teacher’s College, Columbia University. NYC DOE vendor number available upon request.